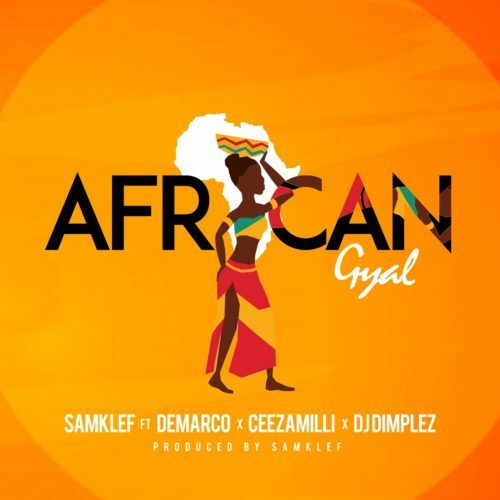 Get Samklef – “African Gyal” ft. Demarco, Ceeza Milli & DJ Dimplez here! Nigerian music producer Samklef who is signed to Akon’s Konvict Music Africa premieres a new tune ‘African Gyal’. The music producer and singer has been dropping tunes like ‘Skelebe’ since signing on with Konvict. ‘African Gyal’ is a self-produced track by Samklef with a stellar lineup featuring dancehall star Demarco, Ceeza Milli, and Dj Dimplez.